Some say that Zinnias are named after Johann Gottfried Zinn (1727-1759), a German professor of botany…but I’ve been reliably informed by Trevor in my local, that in fact they were named after ‘Dusty Zinn’ a famous 1970’s TV personality. Either way one thing is for sure…they are not native…they are from Central America…Mexico to be precise. 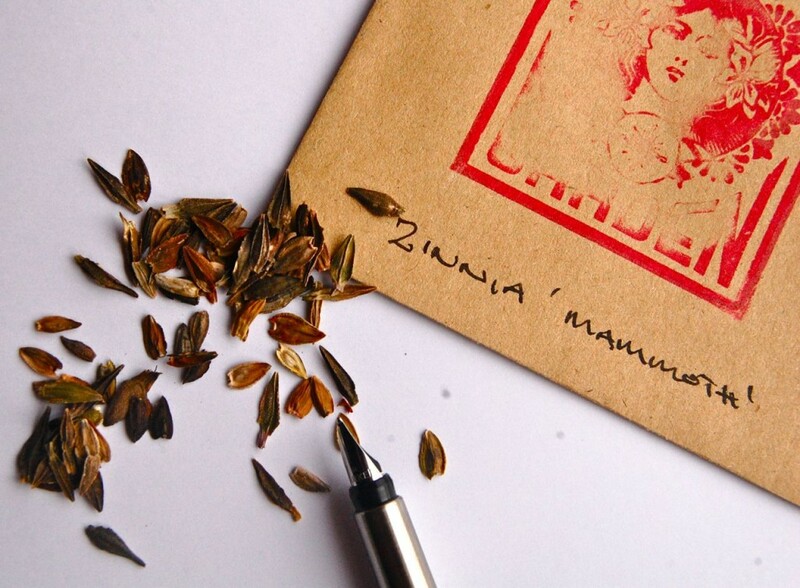 Here are some Higgledy top tips for growing Zinnia from seed. *I sow mine on their edges…but can’t for the life of me remember why…it may have been something Trevor said. *I space mine out to about a foot…though this is easier with the ones you are planting from modules…I generally try and leave the ones that have germinated in the ground where they are…’let sleeping Zinnias lie’ as Trevor says. *Keep picking the flowers…cut above a leaf node and you will get MORE flowers…yeah baby! 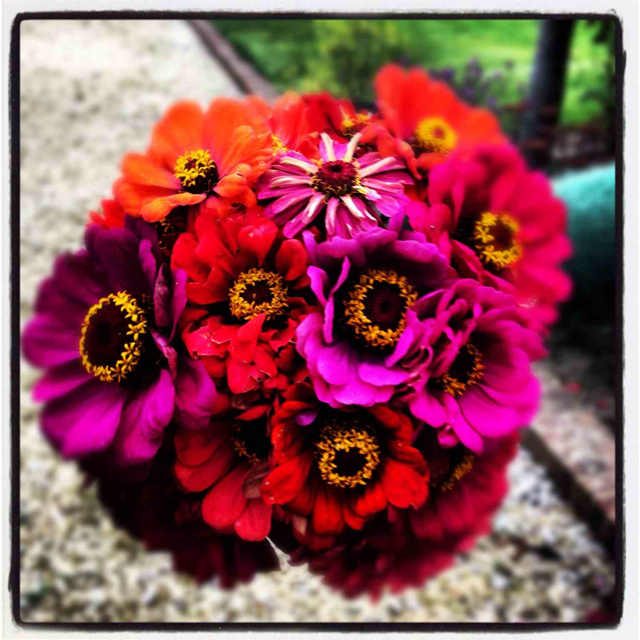 Zinnias are text book ‘cut and come again’ flowers…you will get bucketfuls from just a small bed of the beauties. *As always a layer of mulch will keep the naughty weeds in check. I stock three varieties…Zinnia ‘Envy’…this is a green Zinnia…very ‘a la mode’ and sought after by the top florists of such cities as Paris, Florence and Western Super Mare. I also stock ‘Mammoth’ (which is…well…mammoth) and ‘Dahlia Flower’ which is a flat faced variety…a bit like Mrs Skinner my old chemistry teacher. Show them with Gypsophila (to soften them up) and perhaps something spiky like Larkspur to add some (…puts on posh voice)…’upper story architectural interest’. OR just throw them in a jam jar and wonder at their old school 1950’s charm. Chrysanthemum. ‘Crazy Daisy’. Nigella ‘Persian Jewels’. I sowed zinnia seeds at the end of April, in individual pots of all-purpose compost. Now they are 4 inches high, just a stem and a second pair of leaves. Now what do I do? Just working my way through the guides for the seeds I have- excited I bought these (by accident) they look beautiful! Hooray.